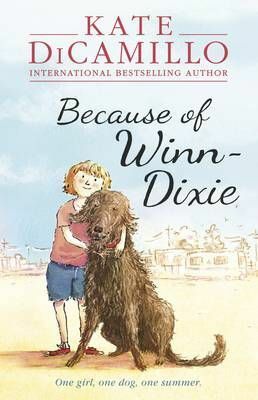 Funny and poignant, this 2001 Newbery Honor novel captures life in a quirky Southern town as Opal and her mangy dog, Winn-Dixie, strike up friendships among the locals. One summer's day, ten-year-old India Opal Buloni goes down to the local supermarket for some groceries - and comes home with a dog. But Winn-Dixie is no ordinary dog. It's because of Winn-Dixie that Opal begins to make friends. And it's because of Winn-Dixie that she finally dares to ask her father about her mother, who left when Opal was three. In fact, as Opal admits, just about everything that happens that summer is because of Winn-Dixie.